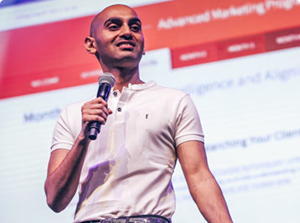 Neil Patel teaches marketers and businesses how to grow their traffic and sales through different digital marketing and SEO strategies. In 2015, he created something called the $100,000 Challenge; to start a health blog from scratch and grow it to over $100,000/month in sales in a year or less. 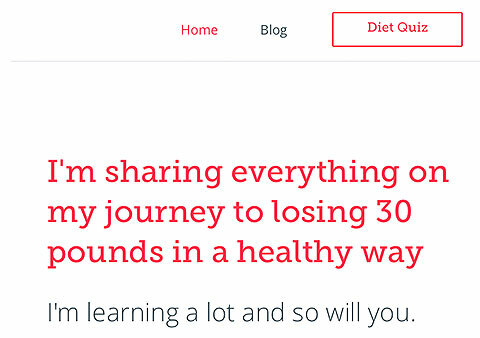 As the site traffic and sales grew on NutritionSecrets.com, Neil decided that he wanted to turn his focus to capturing more leads from his website traffic. Neil Patel picked a quiz that would resonate with his broad audience of health visitors. 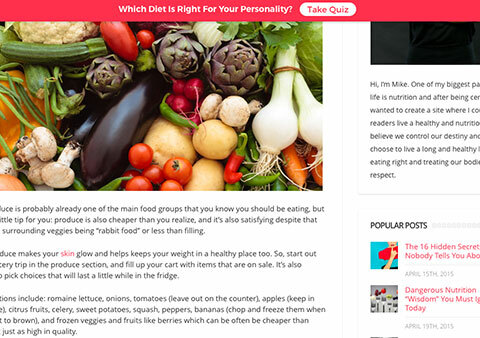 The title of their quiz was “Which Diet Is Right For Your Personality? 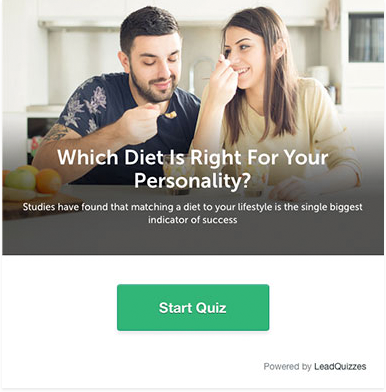 Studies have found that matching a diet to your lifestyle is the single biggest indicator of success.” He then advertised that quiz all over the site to maximize lead capture. They also added a prominent call-to-action on the heavily trafficked blog page, above the fold. 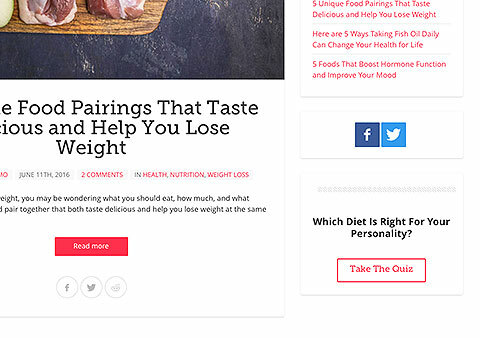 As visitors scroll down on the page, a HelloBar would pop up at the top of the screen linking them to take the quiz. 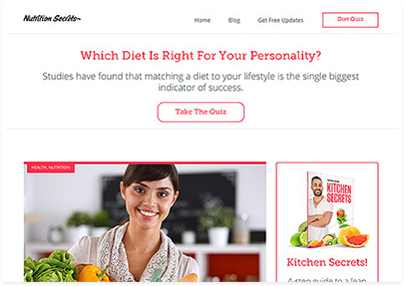 Neil Patel also advertised the quiz in the sidebar next to the quiz as a main call-to-action, as visitors scrolled down the page.